Challenging puzzle platformer inspired by Limbo, Nihilumbra or Type: Rider. Wait, so your pure black at all times? No giant spiders :P? Traps look nice, especially those over the top 1 hit kills. That spike room were your on the moving seesaw reminded me of that accursed fourth level from Super Ghouls and Ghosts. Backgrounds give a nice contrast, no more gray on gray! 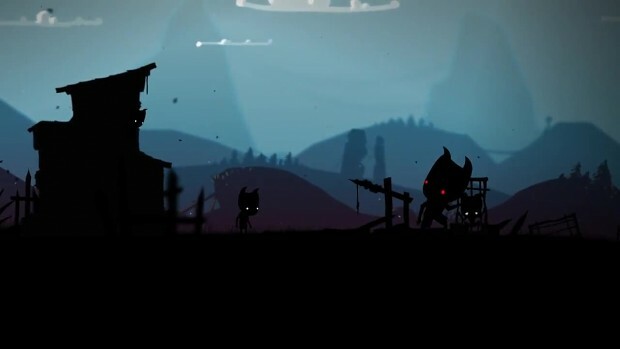 It’s a challenging puzzle platformer inspired by great games like Limbo, Nihilumbra or Type: Rider. You play as a little creature called Toby and with little information you’re left to set out on a journey to find your kidnapped friends. A peaceful way of life in a small village in the mountains was thrown into disorder. Someone has kidnapped most of it’s residents. A couple of brave hearts tried to rescue their friends but none of them has returned. Little Toby didn’t want to just sit and wait so he decided to find them by himself. He went to the near deep forest but he soon realized this is just a beginning. Go with Toby on an eerie adventure in a dark and creepy world full of dangerous situations, enemies and challenging puzzles. Get lost in the shadows and pray you find your way out.